Click here for the UNT Student Union's Emergency Floorplan Map. All conference attendees, exhibitors, sponsors and speakers, please stop by the 3rd floor registration desk for conference check in. 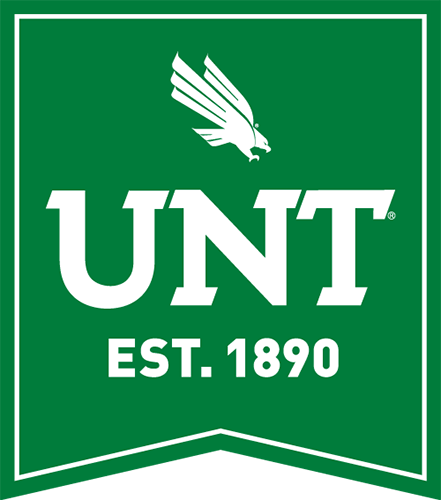 The welcome reception, a meet and greet social, will be hosted by UNT President Neal Smatresk. This reception kicks off the conference with valuable networking opportunities, great hors d' oeuvres, and entertainment. This event will take place in the Diamond Eagle Suite, Everyone is welcome! This space will be available to conference attendees, speakers, exhibitors and sponsors throughout the conference for networking with other conference participants. Opening ceremonies for the International Conference on Smart Learning Environments. Do you remember the game Oregon Trail? Do you remember playing Pac Man, Space Invaders, or Tetris? What did these games teach you about life and the real world? Did having fun minimize the amount of learning you experienced, or can you now pack your trunk in expert Tetris fashion? The use of games and gamification has proven to be a successful effort in helping students learn and retain course content. But, how do these strategies work? How hard are they to deploy? In this session, participants will explore a variety of game types and discuss their merits and challenges. Games include board, card, and video. Gaming environments like physical and virtual escape rooms will also be explored. Finally, Participants will learn how to gamify their curriculum by creating quests and publishing leaderboards. By 2023 or sooner, it is estimated that over 50% of U.S. households with have a “smart speaker” in the home (21% today)…so it’s inevitable that voice technology/AI is here to stay. This presentation will discuss ASU introducing 1500 “smart speakers” into a new student residence hall and other innovative uses of voice technology since 2017 (curriculum, recruitment, student engagement, teaching, learning and community outreach). ASU envisions integrating voice technology into the everyday life of faculty, staff and students, and John will discuss this journey. Arizona State University (ASU) is the most innovative institution (4 years running) according to U.S. News and World Report. Soft skills are cutting edge, and leaders with empathy drive better conversations and improved performance. But, leadership skills are notoriously challenging to develop at scale. With immersive virtual reality simulations, it’s now possible to deliver intelligent soft skills training at scale for leaders. Virtual simulations have become the ideal way to gain essential skills in the workplace. By using trained professionals who orchestrate the interactions between learners and avatar-based characters, such simulations can achieve the realism needed to deliver measurable, high-impact results. Vulnerability is balanced by safety, consistency by customizability. Together we will explore: the science of “presence” at work in VR, how immersive simulations engage auditory, visual, and kinesthetic learning, and how leading organizations are leveraging VR to develop leadership competencies at scale. Higher education has experienced almost two decades of seismic change, with one innovation after another being touted as ground breaking and transformative. Each trend is presented as “this time it’s all going to change”. And yet, after online learning, learning analytics, virtual reality, mobile phones, wearable computing, and dozens of other technologies, classroom environments, in particular the relationship between educators and learners, remain as they have been for centuries. In this presentation, I’ll explore the “new” thing that is being presented as a game changer: artificial intelligence (or more accurately, artificial cognition). What remains unique about human cognition when daily breakthroughs in artificial intelligence redefine what is computationally possible? With the rapid development of intelligent technologies, such as Artificial Intelligence (AI), the world is undergoing a profound transformation from an industrial society to a digital society. The way of human beings’ producing, living and learning is different. Science and technology have become the endogenous driving force of educational reform, including science education. On one hand, the development of ICT brings the changes into the science education system, from teaching and learning to evaluations. On the other hands, science education shoulders the responsibilities of cultivating the future talents for science and technology fields. In order to explore future trends and challenges of integrating intelligent technology into science education, we specifically prepare this forum, looking forward to learning insights from different experts. Explore ways that immersive media (Virtual Reality, Mixed Reality, and Augmented Reality) have been used for education and behavior change. These researchers will explain their research and the potential for using these evolving mediums for education, training, and behavior change. These panelists have researched the impacts of immersive mediums from teacher education, health behaviors, and attitudes about the environment to resist and avoid strategies for adolescents. Higher Education Institutions priorities for 2019 are centered on the empowered student. This session explores how mobile and virtual computing enables applications in shaping the student experience. Trusted data through good governance is changing the business landscape for education. However, to fully realize the benefits of technology in education and embrace student’s centric learning experiences, educators need to use technology effectively in their practice. Interact with the latest and greatest in the ed tech industry. This session will provide the opportunity to meet, engage, and connect with others on a topic of interest, the nature of learning. Using a World Café discussion format, the participants converse in small groups in response to a series of guided questions, which are later summarized for the whole group. How could intelligent technologies transform learning without a better understanding of learning itself? Our understanding of the brain and the conditions for learning are constantly changing and need reflection and discussion by educators. This will be a discussion of direction of learning itself and the value of the use of intelligent technologies in education. Grab-and-go lunches will be available in room 314. During the lunch break, be sure and spend some time with our exhibitors and check out the Lunch & Learn Sessions! Since its inception, Cisco has worked alongside many partners to help universities develop and deliver digital strategies in order to support university’s mission. Today, most institutions in Higher Education have begun to adopt what we call the Digital Education Platform - an ecosystem of technology built for the future generations of learners. While the physical campuses of these institutions may resemble their general look-and-feel from the past, the evolution to a digitized campus has enabled much more such as; virtual learning, smart facilities, safe campuses, and most importantly a plethora of new data to support student success. Come learn how the the digital campus can be leveraged to support student success today. Computer-mediated instruction can result in an extensive collection of data about the teaching and learning process. These data provide a relatively objective context in which deficiencies in learning materials can be identified through the use of learning analytics. Open educational resources (OER) provide the legal permissions necessary to make changes to learning materials, enabling faculty who identify deficiencies to correct those problems directly. In this manner, learning analytics and OER create a novel opportunity for continuous improvement within the educational context. As our daily lives are impacted more and more by digital technologies and data driven insights; expectations for what a smart, engaging, and effective campus is, are changing. Join us in exploring a range of what campuses are doing to build digitally enabled and intelligent classes and campuses and a high level view of the modular platforms and tools they are using to make tomorrow's digital university real today. Massive investments in school reform over the last quarter century have produced only modest gains in student achievement and the closure of achievement gaps. Most of the reforms, including those centered on the use of technology, were based on the logic that an optimized school system, upgrading our current schools, would ultimately lead to all children being prepared for success. However, schooling, as we know it, is too weak an intervention to prepare all children for success. Only a more expansive, holistic, child development and education system can achieve our 21st century education goals. Join us as we welcome the 4th US - China Smart Education Conference to America with a "little" Texas flair at Texas Motor Speedway. The Big Texas Welcome event will include a Texas - sized meal, and entertainment. The highlight of the evening will be Mr. Steve Halliwell's Keynote Address. Mr. Halliwell is President and Chief Revenue Officer of Promethean. For nearly a century now, we have been operating on a foundation of understanding learning that stems mostly from work done with animals such as mice, rats and pigeons. The findings of this stimulus/response learning were applied almost immediately to matters related directly to human learning of all sorts, and the results have been less that inspiring. Thankfully, that situation has begun to change, and the rate of that change is rapidly accelerating. Currently, both the US and the European Union have decade-long projects that are investing billions in basic research into the workings of the brain. Since April 2013, the BRAIN (Brain Research through Advancing Innovation Technologies) Initiative in the U.S. has been exploring the inner workings of the brain. The Human Brain Project, also begun in 2013 in Europe, has been pursuing a similar agenda. While these two projects focus on basic neuroscience and medicine, they are making advances that clearly have implications for learning and education at all levels. Our continued investigations of the possibilities for “smart learning” and “smart learning environments” could benefit from a sounder basis for our understanding of human learning. Any growth in our understanding of human learning processes will depend on the soundness of the science that supports it. Technological advances in the coming years are likely to make that effort even more exciting. Someday soon, we might be able to use new and noninvasive technologies to actually observe learning as it takes place and define a new model for human understanding. Complex, dynamic systems, are cognitively challenging to learners who try to understand the intimate relationship between the underlying structure and the resulting dynamics of such systems. Such behavior results from accumulation processes that are embedded in non-linear feedback structures. In this presentation we describe how simulation models and model-based interactive learning environments may be developed and applied to facilitate learning in such complex domains by way of gaming. Is Educational Technology Still Relevant? In a world where more than 4.5 billion of people -- over 60% of the world's population -- have some sort of a connected mobile device, what is the role for educational technology? Indeed, is there still a role? Initially, now decades ago, the aim of ed tech was helping students and faculty learn and use computers for learning, and then how to use the Internet. Digital literacy was an important focus. We saw online learning replace most other forms of distance learning. The field has always seemed to track new developments in technology, but in this uber-connected hand-held world we live and learn in, and the incredible ubiquity of online video, trends in informal learning might be more relevant to higher education than those usually associated with educational technologies. What does this mean for scholars and others wanting to understand and meet the needs of learners and faculty who come to campuses less and less? You can't sell a drug in the US unless you subject it to a randomized controlled experiment, but this system is not in place in EdTech interventions in our public schools. We need easier ways to run randomized controlled experiments in education to help our nation’s children learn better. I will explain the efforts we are making in these areas. I will explain how we are creating a testbed, and letting other researchers propose ideas to be tested on the 50,000 students using ASSSITments. Over the past 15 years, Dr. Heffernan has received 42 major grants that fund his work. In recent years, the application of robots in education has been extensively studied and explored by academia and industry. Educational service robots are the representatives of robots in the field of education. They are typical applications of artificial intelligence, human-computer interaction and other technologies in education. They will become an important part of smart learning environment. The forum will invite scholars and business representatives from China and the United States in the fields of artificial intelligence, robotics to discuss the application scenarios and roles of robots in the field of education, social ethics issues of artificial intelligence and robots, key technologies and future development trends of educational service robots. Livestreaming media is becoming more common in our digital society, from Facebook to MSNBC to Twitch.tv. Join a discussion on how streaming media is being used to create both synchronous and asynchronous learning experiences for geographically distributed students. Panelists will discuss the limitations and advantages they have experienced teaching students skills from building robots to watching and discussing Nasa launches to playing games on live streaming platforms. What are the risks and rewards these practitioners see from live streaming for education. General Intelligent Framework for Tutoring (GIFT) is an empirically-based, service-oriented framework of tools, methods, and standards to make it easier to author computer-based tutoring systems (CBTS), manage instruction and assess the effect of CBTS, components, and methodologies. GIFT is being developed by US Army Simulation and Training Technology Center (STTC). This talk will report some of the most recent research, development, and application of GIFT as part of the collaboration between STTC and Institute for Intelligent systems (IIS) at the University of Memphis (UM). As ICT efforts expand around the globe, we must ensure that we are taking a transformational approach to teaching and learning, whether at the individual classroom level or planning for an entire country. We can only meet the growing needs of students and educators and fulfill the potential of cutting edge technology innovations if we put learning first, and technology second; if we created a shared vision and actionable plans; and if we embrace the active use of technology by learners. This presentation will share key principles and strategies built upon the many ISTE engagements globally and the ISTE Standards to lead our learning systems into a future of endless possibilities. The work and career relevance of education is a crucial factor for education consumers. In this session learn how Emsi has deployed smart technologies (e.g. machine learning) to provide key insights into topics like automation and the future of work, the relevance of liberal arts in a STEM world, and the relationship between skills sought by employers and the skills taught in the classroom. Where art-science integration opens new portals of imagination, invention, knowledge, and communication across cultures to create solutions for our most pressing global concerns. Gamification is the application of elements of game playing such as point scoring, competition with peers, and game mechanics to other areas of activity. While there is a growing body of research that indicates that gamification can have a positive impact in an educational environment, have we just scratched the surface of how educators can leverage video games to help students learn? This presentation discusses the results of a successful collaboration between the University of North Texas and Concentric Sky to develop a new kind of micro-credential transcript and digital badge dashboard using integrated learning data from institutional systems. The resulting product helps faculty, staff, and students translate relevant experiences and coursework into marketable skills like communication teamwork and critical thinking. We'll discuss how the relationship was formed, keys to successful industry and higher education partnerships, and notable innovations that were discovered as a result of our ongoing dialogue and conversation. Attendees will learn about integrating existing assessment practices and technology to develop a comprehensive system of capturing and translating key student learning data. Attendees will also gain insight into developing successful institution and vendor interactions that change the purchaser/vendor relationship to one of collaboration/partnership. Participants will learn about D! K-16 Design Thinking, a three-year research and curriculum development partnership between Denton Independent School District and the UNT College of Visual Arts & Design (CVAD), facilitated by the Jo Ann (Jody) & Dr. Charles O. Onstead Institute for Education in the Visual Arts & Design. Sponsored by The Heart of Neiman Marcus Foundation, D! K-16 aims to break new ground in the cultivation of students’ creative capabilities while also fostering 21st-century skills including collaboration, critical thinking, leadership, and innovation afforded through a specialized visual arts curriculum. Stephen Attenborough is the Commercial Director for Sir Richard Branson’s Virgin Galactic – the world’s first commercial spaceline. Joining the company as its first full time employee in 2004, Stephen provides a unique insight into how and why this amazing project first saw the light of day. With the help of stunning imagery and footage, he charts its progress to date, including the latest from the extensive test flight program. Stephen also explains how Virgin Galactic as a business is balancing and aiming to meet its dual objectives of safety and commercial viability. He will describe how success in these areas could provide the spark to light the fire of a new, important and vibrant industry; an industry that could help to meet some of the most pressing challenges faced back down on Earth in the coming decades. Most importantly Stephen sets out why travelling to space with Virgin Galactic will be a profound, exhilarating and life-changing experience. Reception immediately following Stephen Attenborough's keynote address in the UCSEC Exhibit Hall (UNT Union Emerald Ballroom 314). Refreshments will be served. The 2019 US-China Smart Education Conference hosted by the University of North Texas and Beijing Normal University is pleased to announce Ed Tech Ascend, a new Educational Technology Pitch Competition, sponsored by Edmodo. During the competition, creative individuals and teams from the Ed Tech sector will have a short period of time to sell their product and vision to judges, companies, and potential investors. Winners will be selected, honored, and receive start-up or ramp-up funding while potentially working with academic and corporate partners to get their product to market. For more information, click here. Empowering students of today to create the world of tomorrow. Educators around the world are using technology Microsoft develops on its education mission to empower learners. Hear how University of New South Wales is increasing student engagement through online learner communities and how City of Westminster College provides inclusive learning with Microsoft Teams. Presented by Dominic Williamson, Product Manager, who will add his personal story how technology allowed him to impact globally. Much progress has been made in the area of artificial intelligence in the context of learning and instruction. Previously, an Intelligent Tutoring Systems (ITS) would create a model of what was to be learned and what a specific learner knew or could do. Based on the learner’s performance, the ITS would then generate a learning interaction. Now there are sophisticated pattern matching algorithms, the ability to analyze large data sets to generate meaningful interactions, and conservational interfaces – all known as AI 2.0. It is now time to focus those abilities on making people smarter – creating habits of inquiry and critical reasoning in young children that can help them solve the complex challenges of the 21st century. With the advent of big data and intelligent era, people are no longer satisfied with the "standardization" education in the industry ages. They need more opportunities for lifelong learning and personalized education services. In 2015, the UNESCO Education 2030 Framework of Action set the overall goal as "ensuring inclusive, equitable and quality education and improving opportunities for lifelong learning for all". Therefore, not only should we plan and implement transformative public policies to ensure inclusive education for all, respond to the diverse needs of different learners. At the same time, in order to make up for the lack of formal education, it is necessary to provide a wider range of more flexible lifelong learning opportunities and sufficient resources and appropriate mechanisms to stimulate informal learning, including the use of information technology. As the two largest economies in the world, China and the United States have placed education in a very important position, especially the role of educational technology in promoting education. Capital investment is active in the education sector, China and the United States are rapidly developing educational technology companies. The two countries have a lot in common and have their own characteristics in the education service industry. The forum aims to exchange views on the policies, finances, capital, technology, companies and products of the smart education industry between China and the United States. Handheld devices and other technologies are integral to the lives of young learners, yet they can also serve as distractions from classroom curricula or can be difficult for educators to implement due to lack of resources or logistical challenges. Utilizing matrixes and prototyping, participants will develop potential solutions to problems of digital technology integration within K-12 art classrooms. In doing so, participants will gain experience using the methods, approaches, and practices similar to those being used within the D! K-16 Design Thinking partnership, while also addressing a real-world issue with which art educators must contend. PricewaterhouseCoopers predicts Autonomous Logistics will approach a $1.15 trillion addressable market by 2040. An article published by Arthur Herman, a Forbes contributor, highlights leading trends in higher education suggesting the U.S. is fast approaching a STEM crisis with a severe shortfall in Americans trained in science and engineering. He predicts this nation will experience real damage to its economic well-being and national security. A national effort on a unified STEM-based curriculum consisting of autonomy, robotics, IoT, and digital transformation will address the challenge this country faces in preparing our workforce for what lies ahead. Historically Invention through Emulation has been a key method of transferring technological knowledge from one generation to the next. A journeyman used a master work as a starting point of reference and extended it to improve upon the original mechanism. This type of emulation combined and remixed prior inventions to create new innovations. The Make to Learn consortium, working in collaboration with the Smithsonian Institution, is employing this method to introduce engineering to today’s students. Participants reconstruct working models of historic inventions and extend them to create their own innovations. Join us in the Emerald Ballroom for the official close of the 4th US - China Smart Education Conference. The event includes a plated luncheon, special performances and closing remarks. The highlight of the event will be UCSCE 2019's 3rd and final keynote speaker, Peter Balyta, Ph,D, Texas Instruments' President of Education Technology and Vice President of Academic Engagement and Corporate Citizenship. Don't miss Dr. Balyta's keynote address: "Engineering the future through STEM education." In the closing keynote, Dr. Peter Balyta will cover the roles that both industry and academia must play to cultivate STEM competencies in students, from K12 into university. He will share It's comprehensive approach, including how it engages with partners, to enhance STEM effectiveness among teachers and improve student outcomes in STEM subjects. He will also touch on his own observations of what's needed in both K12 STEM and university learning environments to ensure students are career-ready upon graduation, regardless of their field of study. ***TO PARTICIPATE PLEASE SIGN UP DURING THE CONFERENCE AT THE 3RD FLOOR REGISTRATION DESK. *** This tour will depart from the UNT Union 3rd Floor Registration Desk at 2:00 PM and provide transportation to UNT Discovery Park. At Discovery Park, Shobhana Chelliah and Ava Jones will lead tours including: 1. LABORATORY FOR RECREATIONAL COMPUTING: The Game Development Research Group is the research arm of the Laboratory for Recreational Computing. Members conduct research into computational issues arising from problems in computer and video game development. 2. THE INSTITUTE FOR THE INTEGRATION OF TECHNOLOGY INTO TEACHING AND LEARNING: ITTL/UNT and dozens of science education and technology partners nationwide are working with NASA's Goddard Space Flight Center on a five-year mission to encourage interest in space science — the NASA Space Science Education Consortium, NSSEC. UNT faculty leverage key technologies, including virtual reality, VR, augmented reality, AR, 2D design and model creation, 3D printing, and online simulations to provide students with opportunities to engage in learning and discovery. 3. UNT PROJECTS FOR CREATING DIGITAL RESOURCES FOR THE WORLD'S LANGUAGES (Northeast India, Northwest India, Borneo): National Science Foundation funded projects in Language Documentation aim to create digital resources for language theorizing and machine translation. ***TO PARTICIPATE IN THIS UNT TECH TOUR, PLEASE SIGN UP DURING THE CONFERENCE AT THE 3RD FLOOR REGISTRATION DESK. *** This walking tour will depart from the UNT Union 3rd Floor Registration Desk at 2:00 PM on Wednesday, March 20. This tour conducted by UNT College of Music, will feature two parts: 1. An intermedia performance in the Merrill Ellis Intermedia Theater (MEIT) and tour led by Panayiotis Kokoras, Assoc. Prof., Division of Composition Studies CEMI Director, Center for Experimental Music and Intermedia. This program of intermedia works will demonstrate various configurations of the MEIT Theater such as - 360 immersive spatial sound, audio video music for three projection screens, real-time computer interaction with Chinese as well as Western classical instruments and tablets. 2. The Hybrid Arts Lab (HAL) - Multimedia arts and technology studio tour / demonstration, led by Stephen Lucas, Lead Creative Programmer iARTA - Initiative for Advanced Research in Technology and the Arts Division of Composition Studies. This tour will include a short introductory video from Professor Stout about Hybrid Arts Lab and a photo slideshow with student research and other multimedia installations. Followed by a demonstration of generative, multimedia art for virtual reality and a demonstration of audio-visual performance interfaces. ***TO PARTICIPATE IN THIS UNT TECH TOUR, PLEASE SIGN UP DURING THE CONFERENCE AT THE 3RD FLOOR REGISTRATION DESK. *** This walking tour will depart from the UNT Union 3rd Floor Registration Desk at 3:00 PM on Wednesday, March 20. This tour, led by Danny Armitage, Associate Vice President for Student Affairs will demonstrate how UNT is using technology to enhance recruitment and retention in UNT's new Tour Center.